Your customers have a lot of choices, so why should they choose you over your competition? The answer is all around you. It’s your staff. Your team members make or break customer loyalty through the service they provide. This goes far beyond what you might think of as traditional customer service. Service is your invisible product. It’s more than just a smiling face or a simple “have a nice day.” Service is about anything and everything that affects your customers. As a leader, you won’t always be able to ensure all these elements of exceptional service come together as they should. But you can provide the training, coaching, and environment that creates a staff willing and able to put service first. 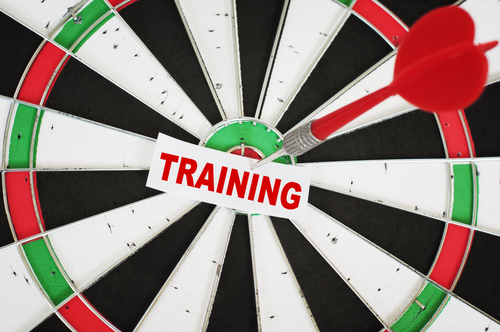 Let’s take a look at each step toward effective training. Leverage available training technology to provide consistent training. Online learning shifts the manager’s focus from delivering training to managing knowledge. With the time managers save, they can focus more on their primary responsibilities of achieving higher level company goals. Teams need both coaches and trainers. Training can’t succeed if it isn’t followed by daily coaching, and coaching can’t succeed without a solid foundation of training. Managers should work to develop their staff every day through ongoing coaching, encouragement, and enthusiasm. Ongoing learning can’t happen in a vacuum. When trainers, coaches, and managers create an effective training environment based on positivity, open communication, praise, and feedback, employees will be more open to learn new things and improve their performance. Remember these steps: 1) Use the technology-based training 2) Follow training up with daily coaching and 3) Provide a productive training environment. With this plan in place, your team members will have the knowledge and skills they need to provide exceptional service on every shift, setting you apart from the competition. Strive to be the best leader you can be! Sign up and receive weekly updates from our article knowledge base. Strive to be the best leader you can be! Click here to sign up and receive weekly updates from our article knowledge base.